This is the flower blossom of a Conker Tree. That is just beautiful! So pretty! I love this time of year when everything seems to be on steriods! Whoosh... and up they pop! Is this an azalea? I really don't recognise it. Whatever it is... it's truly beautiful. Thank you! This is the flower blossom of a Conker Tree. That's beautiful. I'm not too sure what it is though! 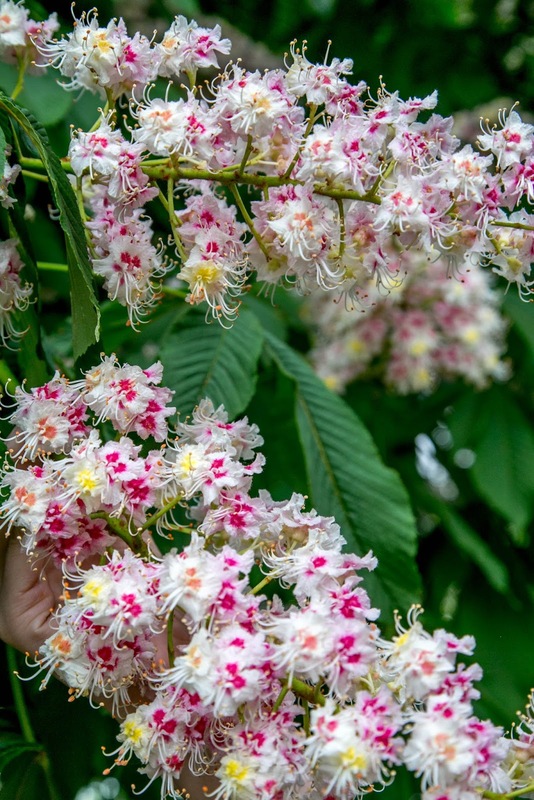 Such stunning blossoms, I was going to ask what tree they are from but I see in the comments they are form a conker tree. I've never heard of it before, I'll have to google it.